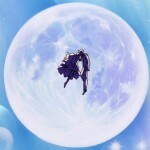 Last month Sailor Moon S The Movie and Sailor Moon SuperS The Movie played in theatres here in North America. Unfortunately many fans who attended showings of these films had negative experiences, mostly due to technical issues. One of the more common complaints was that the wrong movies were played. 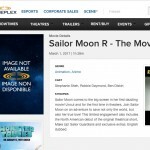 The first weekend was meant to show an encore showing of Sailor Moon R The Movie, originally shown in theatres in January of 2017, along with a first time presentation of Sailor Moon S The Movie. Many theatres instead played Sailor Moon SuperS The Movie as well as the Ami’s First Love special, which should have been a week later. This may not seem like a big deal but amongst many fans Sailor Moon S holds a special place, being the only one which is based directly on a manga story. Others had issues with the sound in the theatre being far too loud. In some cases the movie failed to play. One user got the photo which I posted above showing an error with the satellite connection which appeared to be streaming the film. In another case the screen’s subtitles were too low making them hard to read. Others who planned to watch it dubbed instead got a subbed version. Some have asked why the film wasn’t simply played on film or some other kind of physical media to avoid this kind of problem. This was likely a cost savings measure. For a wide release movie it makes sense to send hard drives or film reels across the country but for a one time only or weekend long release like this such a thing isn’t feasible. Traditionally smaller release movies would have reels going from city to city with those showings happening at different times in different places. Digital technology allows us to have these kinds of releases taking place across the country simultaneously. In this case there were some issues doing so. I’m not an insider in the world of movie theatres so it’s hard to say if these problems are due to a new system that some places aren’t experienced with, limitations of the technology or something completely different such as inadequately labeled movie titles. It’s very difficult for me to get a feel for just how widespread these problems are. I don’t have specific metrics on who had a great experience and who didn’t, though when I asked about it on Twitter and Facebook and got a number of responses just from my own followers, this seemed to me to be an indication that the problems were fairly widespread. To be clear I saw a showing of the SuperS film with Ami’s First Love and did not experience any technical issues. Many fans also commented on how few people attended their showings compared to the better turnouts for Sailor Moon R The Movie last year. I was excited to attend the R Movie with a packed theatre and was a bit surprised to see that there was only myself and one other group of fans in attendance to see Sailor Moon SuperS and Ami’s First Love. The fact that I went to a late addition evening showing may have been a factor but from what most fans are saying, there wasn’t the same kind of turn out anywhere for these. It’s hard to say exactly why this might be but many seem to feel that this was not marketed as well as the R Movie had been. Again I don’t have any specific metrics for this. 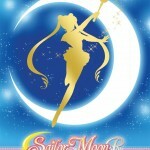 Box Office Mojo has numbers indicating that last year’s showings of Sailor Moon R The Movie grossed $452,053. They unfortunately don’t have any numbers listed for the S and SuperS films and I was not able to find specific numbers elsewhere. Did you have issues seeing the film? This entry was posted in Sailor Moon Anime (1992) and tagged Ami's First Love, Sailor Moon S The Movie, Sailor Moon SuperS: The Nine Sailor Guardians Unite! Miracle of the Black Dream Hole by Adam. Bookmark the permalink. WHERE DO I begin on that “Incident”-It was on my birthday when the fated “incident occurred”. They had technical/equipment issues and they had to cancel the event, disappointing not me but another girl with her friends celebrating her birthday. They gave us redadmission tickets and gave us a chance to watch other movies to make up for the cancelled event-I saw Newsies for a little while WHILE others had to see others including….TEEN TITANS GO TO THE MOVIES (No offense to teen titans go fans)-Bleh. OF COURSE THE positive is that I met the birthday girl and her friends, we chatted-I gave her a sailor moon mug somebody gave me for my birthday and she gave me two of her pins (She collects mugs, I collect pins-it worked out well for known collectors’ as us.) After the incident, a few days later I SENT messages, emails even a FEW letters (AND IN VERY GOOD AND LONG DETAIL of the situation that occurred-It took 1-2 weeks or so-IT WAS A LONG BATTLE to get a BIG COMPENSATION out of it all since the tragedy happened on my birthday) to Viz Media, Fathom Events AND MARCUS theaters (South shore cinema) on the incident. THe compensations? South shore-3 readmission tickets (total 5 now), fathom events (FREE event passes/tickets to next movie event) and they even gave me some awesome anime swag including a Sailor Moon SuperS poster (Which I got on my closet door) and from Viz Media-A sailor moon tote bag with two buttons (Artemis and Luna). Oh yeah-Marcus also gave me a snack voucher too since I told how I used my birthday movie cash on my popcorn and drink. SO yeah-What I planned to be an awesome 30th birthday turned into a half and half of ups and downs, good and bad and wishy-washy throughout the day. AND LET ME TELL YA this guys….during Newsies I was crying in the dark VERY UPSET over the WHOLE ORDEAL…Not only did the technical difficulties and poor equipment ruined my BIRTHDAY (And that other birthday girl’s day)-BUT ALSO MY FIRST OFFICIAL ANIME MOVIE event Luckily I am doing a little “Do-over” to make up for the incident. At the end of the month I am having a double feature-Thursday the 27th I am seeing My hero academia two heroes dub and Friday-Smallfoot. I’M GOING ALL out for two heroes Even spurging on some awesome snacks and drink when I am there and I’ll be saving with my snack vouch (and 4 others I won in a contest). That’s awful. I would have been so disappointed. I went to Sailor Moon Super S and Ami’s First Love. First of all, the picture was not fit to the screen at all and trailed quite significantly down below the screen to add insult to injury. Second of all, there just simply was not enough time for people to even know about the screenings of these movies. Having them one week apart is just idiotic, as well, from a marketing standpoint. From the time I first heard about the announcement of these movies screening I was confused, as the marketing for Sailor Moon R the movie was so successful due to the long time we had to get hyped and actually find out about it. I was one of three people in the theater for Sailor Moon Super S. It just felt like not much care was put into the showing. Compare that to seeing Perfect Blue a week ago in theaters and the picture and sound being perfect and the theater being sold out. It’s just weird. 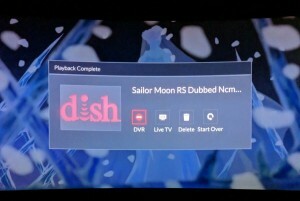 Something strange was going on with these Sailor Moon showings, and I feel they should be shown again properly as an apology to the fans and another opportunity to make money for the company. Yeah, both showings I went to were poorly attended. No idea why. Also for R and S the Movies, I was the only person on time. Everyone else showed up after the lights went down. One woman showed up about twenty minutes in and just plopped herself in the front row. Awkward! I had technical issues for Ami’s First Love and SuperS the Movie. First, they forgot to actually turn on the screen, then they forgot to turn off the lights. Luckily that was the extent of it, and they apologized profusely for it. It was too loud? So, THAT’S why I ended up getting a migraine. It’s not because I can’t sit in a theater and watch films it’s cause they played the movies too loud. When I saw the movies the vibrations from the speakers gave me a migraine headache. Is it possible for that to happen to someone? Get a migraine from sound vibrations? I hope Viz refunds everyone who saw the films then. Plus the fact I suffered for their mistake. I could sue Viz for this since I got hurt for their mistake. Thats disappointing news, I think combining a post movie discussion /trivia or raffle might boost attendance next time. I know many just wait for the dvds to be released . 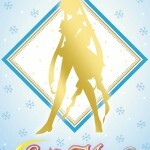 I wonder if the crystal movies will have a theatrical appearance. Most theaters nowadays usw dvds instead of film. It should be standard to have a backup. The only technical issue we had was they forgot to turn the lights off during the R movie. We did have issues with other audience members for R and S. I went with my cousin and her two little girls (who are 5 and 7), there was one other woman who was around our age and sat close to us (she thought it was awesome that we brought a younger generation with us), the rest of the audience (which was small) were adult men in the 20s and 30s with their mothers (I kid you not, they were almost all with their moms). Halfway through we had a staff member come up to us to tell us that someone had complained that we brought children with us (there is no age limit at this theater, mind you). Oh the horror, we brought kids to the dub showing of a kids movie! And the theater was pretty much empty, so if the kids were being a distraction (and they weren’t), any one could have moved to another seat well away from us. It was stiupid. SuperS was much better; no technical issues and there were actually other kids in the theater (not to mention there were more people in general in the audience). *Rings bell* Shame! Shame! Shame! Well, I am kind a surprised about the sound issues. The mivies are 5.1 so the quality is pretty nice. If it was the tv series with mono turned into stereo for the Japanese, that would be horrible in cinemas. The Japanese may have been the issue then. I think the originals were just Dolby Stereo from the 90s. They may not have done a great job in updating them. That said I watched SuperS and had no issue. No, the movies has a nice 5.1 mix for yhe Japanese. Only the tv show has mono tjrned into stereo. The movies has multi channeled audio. Thatvis why I find it bizzare. 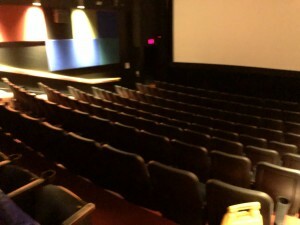 I saw all 4 showings in Philadelphia, with the SMR + SMS subbed movie being the most packed; It was nearly half full and it made it much more enjoyable having so many people around. The other 3 showings were sparsely attended. In all 4 showings, the sound was way too loud; And not in a “the volume was turned up too high” way. The sound was piercingly shrill. The type of shrill that makes you cringe when you hear it. For the SMR + SMS dubbed showing, they didn’t have the sound on for about the first 5 minutes (luckily it was just during the SMR senshi intro). For the SMSS subbed showing, the theater didn’t have the trivia or trailers playing before hand. Here in Ontario Canada, we didn’t have any real issues with the showings (which were, sadly, sparsely attended). The distance required to get to a showing was the major barrier with no reasonable local showings in my area (needed to drive into Toronto). My only issue was the selected theater had to delay a showing by 30 minutes because they botched up an earlier showing of (Maquia?) which set everything back. Very pleased to have had the chance to watch them in theaters though. Always a bit of work when it’s further away. I had to drive about 45 minutes to the only theatre in the Ottawa area to show the film. In the past I’d seen other anime films at other theatres that were a bit closer to home. Hi, Macy! Fellow NorCal user, here. There was a very bad marketing this time around as well. They made a lot more buzz with the R movie. That and r movie being the best ofthe bunch. It looks like my viewings were much better. When R and S were supposed to show they ended up playing Ami’s First Love. I thought they were just confused on how all the movies were titled and was scared on how I was going to explain the mistake with the confusing titles. Luckily the manager listened carefully to me and immediately started queing R and S. He stopped SuperS and explained to the audince what was happening (I was the only one to notice!) and gave us all rainchecks. Only problem was everyones schedules now being about 20 minutes behind. The next week I used my raincheck for SuperS and there were no issues. There may have been a sound problem for most people but I am young with a slight hearing problem so wad probably perfect for me haha! Sorry the problem wasn’t as easily fixed as everyone else’s! I’d been searching the web to see if I was the only one who experienced this and I’m so glad I found this! Luckily after showing us the first 10 minutes of SuperS and the ami short we did get to watch the R and S films! but even then it was FAR too loud, my best friend and I had to take ear plugs when we saw the SuperS movie the following weekend. I go to a lot of concerts and stuff but listening to Usagis wailing on full blast was just too much. That is some disturbing news. I hope those two movies can still come out so I can watch them. The faster they release the S and Supers films, the sooner they can continue doing Supers so they can get to Stars already. I’m very late to the party with my personal experience, but, hey! Yeah, the wide-scale problems were already covered, but I feel like venting. This post of mine get long and rambly, so feel free to hop on board or swim away as desired! Also, I’m too tired to spellcheck, so… look out below! I’m gonna start with something perhaps more exclusive to me. I attended all four screenings (I’m crazy, I know), but for the second of the two afternoons (two afternoons for the English dubs, two evenings for the subtitled originals), it was over one-hundred degrees outside, Fahrenheit. For those who prefer Celsius, that’s over 37. Yeah. Sooo. The air conditioning broke. Haha. Yeah. It straight-up broke. I was sweating! Honestly, I just wanted Kaguya to take over THIS area of the world and cover it with snow… at the time! And, yeah, the movies playing out of order problem. That only happened to me once, and that was during the final night of my theater’s showing. It was supposed to be the original SuperS: The Movie track with subtitles, as I recall. But I instantly knew they were screening R: The Movie. After the wave-crashing of the Toei logo, I heard that familiar music coupled with that familiar opening narration from Usagi. I knew the horror stories going around even then, so as soon as that happened, I mentally went “Ruh-roh!” and jogged from my assigned seat (one of those theaters) to notify an available worker. She came in and quickly put a stop to it, but, wow. Okay. Now for my unique experiences. I’m not exaggerating with this–the R Movie’s premiere in America was one of my favorite theater-going experiences of my life, on the subject of… well, theater-going. The only theater within an hour’s drive that screened it was in an old arthouse theater, pretty and quaint, mostly reserved for independent films. I got my ticket in advance (it would end up being pretty packed) and had a ball! It was great! It seemed like only the truly devoted, happy fans made the time and effort to drive all the way there, and it was so cool. To watch Sailor Moon (no less my favorite movie of the lot) on the silver screen with that kind of appreciative, jolly crowd was such a thrill. Contrariwise, this recent Fathom Events didn’t just fail to recapture the magic. I got my tickets for this recent event in advance, expecting the house to be filled like in last year’s showing. Nope. I was in a theater that had assigned seating, but it’s kind of pointless if barely anyone shows up, eh? Positives: – A young girl, with her mother, loved Sailor Moon and, during intermission of the double bills, hummed the theme music. That was adorable! -Young adults directly behind me shared Sailor Moon trivia and talked about what they loved from both Inner and Outer. -During the Japanese screening of the double-billed movies, the audience was only about six people, but we were clearly fans and watched the films in lowkey excitement. Kinda hard to explain, but the aura was nice. Negatives: – A guy was causing a nuisance until I gave him a “Really? Come on!” look. It was during the English dubbed double-bill–he kept mocking the product by saying stuff like, “Isn’t this BUTCH? Don’t you feel MASCULINE? WOW. It’s SOOOOO good,” but in a condescending way. I gave him the aforementioned look, and he stopped until the credits rolled. Very odd. Perhaps there’s something more to the story than I recognized. So, I don’t know what to make of this, really! 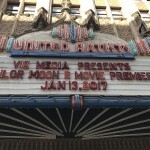 The Sailor Moon R premiere, for me, was an amazing, exciting event. I guess I was hoping to recapture some of that, but I didn’t really find it here. The shocking problems didn’t do it any favors, either. But… I don’t regret watching Sailor Moon on the big screen, no matter how impaired or janky. For what it’s worth, I hummed Poupelin’s hypnotizing spell as I drove home on the final night. Oh! One thing I forgot to stress. The SMR Movie premiere–the one at the arthouse–was further away. This time, because it seemed to be showing in more theaters, I opted for one about halfway. Though, considering the problems evident with the film files themselves, I don’t think going to a different theater would’ve made that much of a difference. Heh! I didn’t have many issues! When we went to see R, they didn’t turn on the lights at all and then the volume was too high, but for all three of the movies the theatres were about half-full or so. I was surprised by the turnout given that it was the subbed version. For me personally, I attended the SMR dubbed release in my area in January 2017. The independent movie theater that marketed SMR did an excellent job in getting the word out. The timing was also perfect (after 7:00 pm during the week, like a Tuesday and/or Thursday). As a result, attendance was packed which enhanced the movie experience. Unfortunately, I was unable to see SMS and SMSuperS this past summer because the times were mid-day, which was probably the worst time for limited releases, especially for working adults! I had prescheduled errands both times it was released. The marketing was also worse (in my area, it was a different theater chain that hosted SMS and SuperS. I wished the previous theater company hosted the films instead). It looks like it was a good thing I skipped both films.